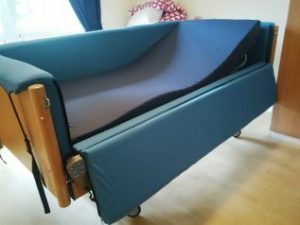 The Orthodocs Cocoon™ is a bed rail protection and evacuation system - a totally enclosed mattress and bumper system to meet the needs of hospitals, nursing homes and carers to help prevent injuries, bed rail entrapment, and assist with evacuation in the event of risk. 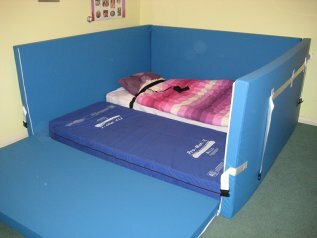 The Orthodocs Cocoon™ can be produced for any type and size of mattress, is registered and listed by MHRA as a class 1 medical device ( non-restraint ) and is CE marked. 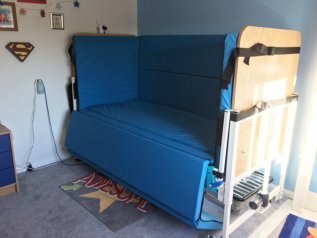 Warning: Please be aware that the Orthodocs Cocoon™ is listed and approved as an all round bumper protection system by MHRA. Orthodocs Limited is based in the UK but can deliver throughout the British Isles. 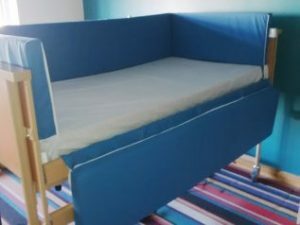 The Orthodocs Cocoon™ has been providing relief for nursing staff, carers and family members responsible for all types of service users at risk of causing harm to themselves when in bed. 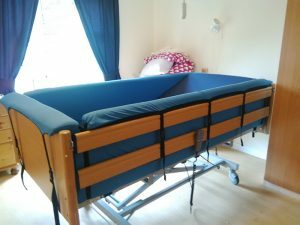 Bed rail entrapment regularly causes injury resulting from limbs getting trapped in the side rails. The soft or rigid foam sides offer the service user protection from injury from the side rails and / or entrapment between the side rails and the bed frame no matter how they are raised or lowered. 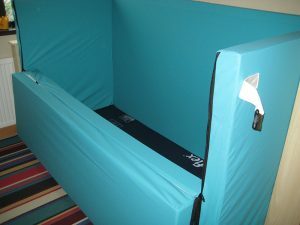 The integral nature of the side bumpers on The Orthodocs Cocoon™ are capable of being manufactured to suit the height declared by occupational therapists to allow for fall prevention - standard heights in use are 12", 14", and 16" and depending on the installation requirements can be extended in 1" increments. 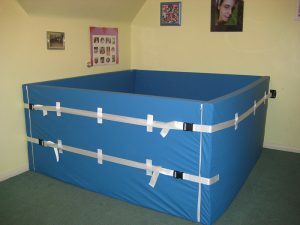 The innovative EVACUATION solution provided by The Orthodocs Cocoon™ has been praised by ambulance and other rescue professionals for its ease of use and efficiency, since it requires only one person to complete the evacuation thereby resulting in complete units being cleared in much quicker timescales. Because the service user remains in bed during the evacuation activity, they are still protected from the weather and remain warm and comfortable within The Orthodocs Cocoon™ until they can be placed in alternative secure accommodation. Orthodocs Limited have an online ordering system, we are based in Northern Ireland but can deliver UK wide. Contact us for more information. "Bedtime, breakfast and other meals for the rest of my family are now a joy - I know my daughter is safe whilst I can see to other things." 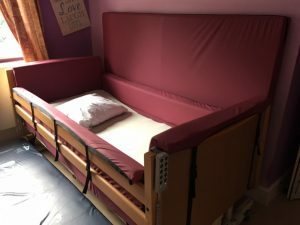 "The Orthodocs Cocoon brings comfort and peace of mind."